In the world of adoption, social workers can be your rock in a sea of uncertainty. What paperwork still needs to be done? How should I prepare to bring my child home? What about my home study? They're there to counsel you through the hard times, and celebrate the milestones. They've seen it all and accumulated a wealth of knowledge along the way, so I decided to ask one of our social workers for a few words of advice. These are her three pointers for families that are looking to get started with the adoption process. 1. You are traveling to a FOREIGN country - a country which does not share the same customs, mannerisms, or values that you have. Please be respectful to these people. Please do NOT go with a "serve me" attitude. Regardless of the time, effort, and finances involved in this wonderful quest to become a family - we should remember that it is ultimately the foreign country's decision on the willingness to allow us to adopt. 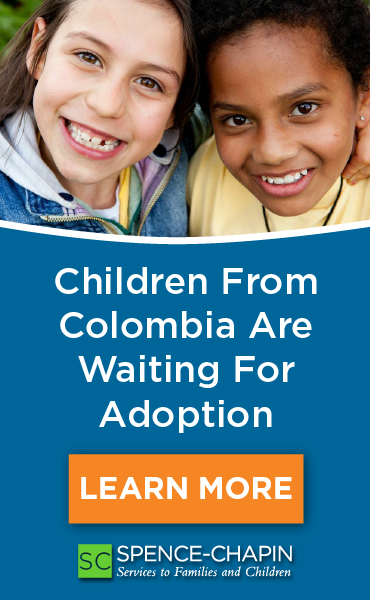 If families could remember the goal: to bring a child home to his or her forever family, that would be wonderful. We sat at a dinner table, discussing the adoption process. He was very apprehensive, asking me for a guarantee that "it will happen" or he wanted his money back, even for services that had been performed for him to get to the waiting stage. I told him I could not guarantee it. I explained the risks that accompany an adoption from a foreign country, stating they hold all the power and can ultimately do what they want, even though the process had a stable history. He was frustrated and could not grasp what I was trying to tell him. I decided that the best way to help him understand was to relate it to something he understood very well: chartering a boat of fishermen. I asked him what his goal was for the men he took out on his fishing expedition. He said, "To have fun but to catch fish." I asked him what he did if they spent the entire day out on the boat and not one fish was caught. I asked if he gave them a full refund. He finally understood but said that most times, when he took a group out, some fish were caught but that there were no guarantees. 3. I wish families did more pre-planning. Internet research is great but calling specialists and having a plan in action, should the need arise - that is best. Going into something with "eyes wide open" will enable parents to be the best parents they can be. It reduces the panic and stress that will set in and take its toll when no preparation is in place. I remember when my dad had a massive heart attack and was in the hospital for three weeks. He pulled through and, several weeks after, sat us all down for a discussion. He handed us a piece of paper that had every account and policy he owned, where everything was, and the procedure for handling things if and when the time came. He said all he could think about when he was in the hospital was, "What if I don't make it and my family has no idea where everything is and what to do?" Realistic preparation is best.